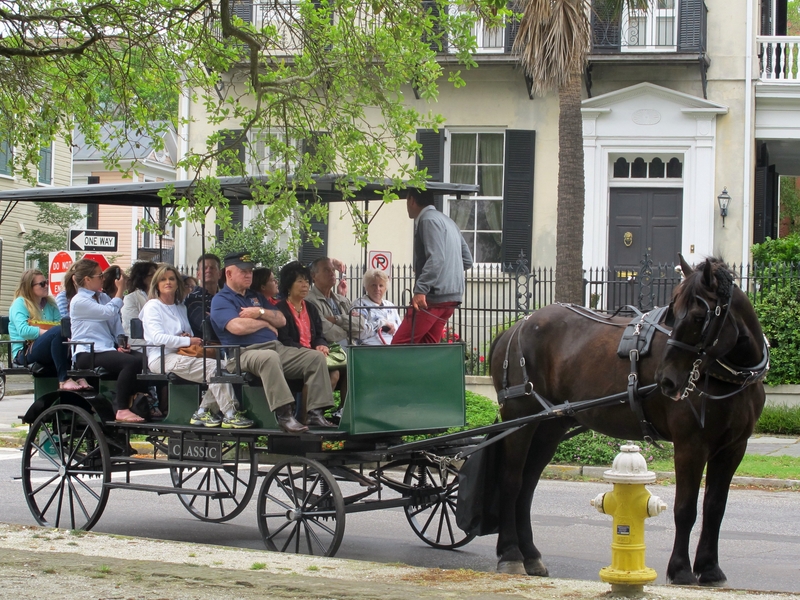 Horse-drawn carriage rides are popular in Charleston, S.C., which has become a popular spot for destination weddings. With a nickname like the Holy City, and church bells ringing at the top of every hour, it’s almost as if Charleston was designed to be a wedding destination. Destination weddings, which are ceremonies held outside the engaged couples’ hometowns, have become a driving force for Charleston’s booming wedding industry. And since many of the nuptials double as a vacation, it’s also become a boon for the local tourism economy. The wedding business in Charleston, a group that ranges from florists to photographers to event planners, accounted for $105 million in spending in 2012, according to the most recent market analysis of the region from the Wedding Industry Report. Wedding-oriented firms have been multiplying throughout the Lowcountry in recent years to cash in on the trend, and there’s a reason many of them are aimed at out-of-town couples. For instance, the new Hilton Garden Inn that’s being built on Lockwood Drive has tailored many of its offerings around the destination wedding market. The top floor of the 141-room hotel features a 5,000-square-foot rooftop venue overlooking the Ashley River, which owner Vic Mills hopes will become known for its views of the sunset. The floor has bridal and groomsmen suites with direct access to the venue, so that the entire floor can be reserved for wedding parties, Mills said. The hotel, which Mills hopes will be completed next month, also includes a bus entrance in the parking garage for trolleys and party buses, and the second floor features an indoor event space as a back-up option during inclement weather. Hotels aimed at attracting wedding parties are somewhat of a novel trend, said Wayne Smith, a professor and researcher with the College of Charleston Office of Tourism Analysis. “Typically back in the day, weddings were frowned upon by hotels because they didn’t sell a lot of hotel rooms. They would rent the event spaces and that was it,” Smith said. But destination weddings became a valuable market during the recession, Smith explained. In the tough economic climate, hotels had to lower prices to keep attracting business groups that needed event spaces for corporate retreats. Wedding parties, however, kept paying market prices, and with more destination weddings came more room sales. That was particularly true for Sarah and James Solomon of Fayetteville, N.C., who were living in Florida when they got married in Charleston in 2012. The couple, who had family all over the United States, decided to host a destination wedding in Charleston because it was a neutral location for the whole family, and they loved the history of the city, Sarah Solomon said. They hired a Charleston-based wedding planner, and nearly every aspect of their wedding featured local services, such as Mic Smith Photography and catering by Cru Cafe. The Solomons brought a party of about 70 guests to the Lowcountry, and they all stayed in hotels across the city, including the Mills House Wyndham Grand Hotel on Meeting Street. Sarah Solomon said it was like a wedding and vacation weekend wrapped into one. Lisa Thomas, owner of local event planning company Ooh Events, said her business plans about 100 weddings per year, and a majority of them are for out-of-town couples. “Out-of-town wedding parties tend to spend more on the weddings. And in many ways they have to, because they have hotels and so many other aspects that they need to pay for. It’s not just the wedding,” Thomas said. Plus, the guests brought in with the ceremonies are often return visitors. “I think it’s done a great job of giving Charleston exposure to a younger market,” said Wayne Smith, the tourism researcher.